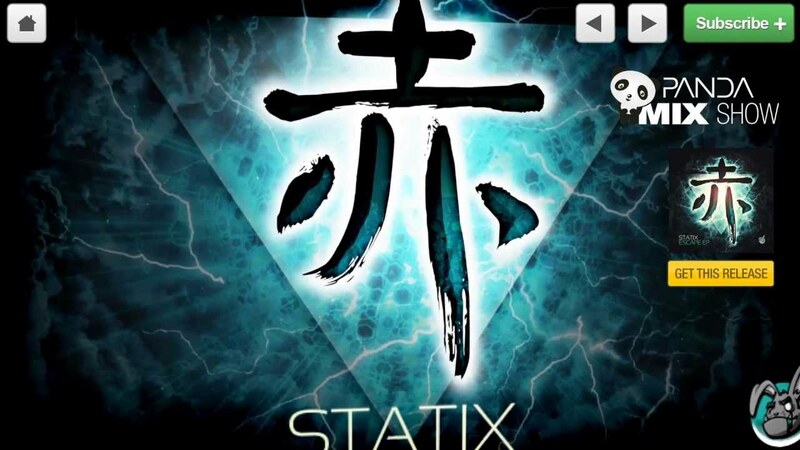 Introducing Statix. To put it simply, dubstep’s answer to Bad Company. Quite a title? With distinctive records such as ‘Mind Over Matter’, 'samurai' & ‘anymore’ shredding their way through the dubstep scene, it’s one that is definitely justified. Statix means …. Well, nothing actually, there isn’t a reason behind the name, although there is a reason as to why Statix contains 4 members. Eddie, Ross & John take care of the beats, while arguably Bristol’s finest dubstep MC 'Frilla' spits catchy hooks and bars on an unsuspecting audience. Back in 2008, a Music Technology course in Bristol began to bring the group together. Soon enough, friendships were developed, musical influences were shared and finally, the idea to bring about the group 'Statix' was put forward and optimised. It wasn’t long before the world took notice of the somewhat refreshing sound the guys were bringing to the dance-floor. Radio plays from the likes of Caspa, Rusko & Crissy Criss followed a ‘mini-mix’ request on the infamous Mary Anne Hobbs Radio 1 show. The spotlight was significantly placed upon ‘Mind Over Matter’ which even featured on Mary Anne Hobbs’ U.S tour blog, beside the likes of Chase & Status, Joker & Plactician. ‘Mind Over Matter’ was then chosen to be released on one of the most exciting and contemporary record labels to emerge from 2009, ‘Screwloose Records’ where it would join highly desired up and coming releases from the likes of KOAN Sound & Asa. After the sudden kick start, things only stated to get better for Statix, bagging themselves headline slots at club night across the UK and europe with the likes of Nero, Chase & Status and Being commissioned for remixes from the likes of Gatekeeper, Dr.syntax and Kate Mcgill. But as dubstep became more mainstream, The competition got tougher. They soon realised that a cunning master plan was needed to get them to the top, so they slowly slipped into the shadows to work on their sound. 9 months later, Statix are about to unleash the type of bass music the scene has been missing. Catchy vocals, Heaven sent synth lines, but keeping the basslines dark and nasty! Look out for the anthem that is 'Anymore' co-produced by the infamous Eddie K, seeing a release on H.E.N.CH in november 2011. Keep an ear out for forthcoming tracks on Screwloose records featuring 'Dr.Syntax' & 'Metropolis' (Foreign Beggars) amongst remixes for 'Zanetic' and Katie Sky and hold tight for the first ever static Drum n Bass colaboration with Hospital sensation 'N3gus'. Perhaps the best thing about Statix is the fact that the talent doesn’t stop at the loading screen for Reason 4.0. Word of mouth alone established Statix high on the bills of several nights to start with in their home town of Bristol. Why? A well coordinated approach to live performances coupled with superb DJ skills and jaw dropping MC talent. Even with the somewhat dark sound the group can unleash through a sound-system, the future is most definitely bright for Statix. And with a live performance in the works, things are about to go from sick, to slick.